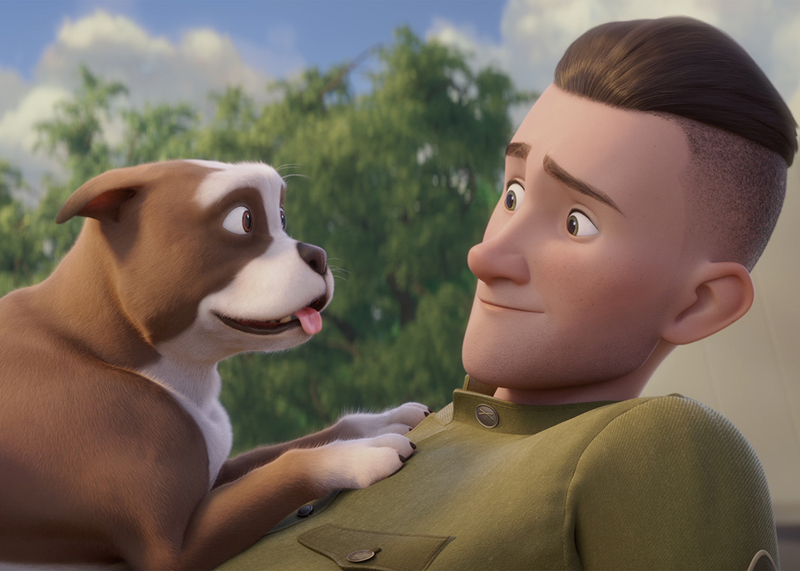 The Veterans Film Festival in partnership with RSL National, is excited to announce the Australian Premiere of the animation feature Sgt Stubby: An Unlikely Hero, (USA, 84mins). The incredible, real-life story of America’s most decorated dog, Sgt. Stubby, shows the world the true meaning of dedication, loyalty, bravery and heroism in this thrilling “tail” of adventure for the entire family. Set against the backdrop of America’s entry into World War I and based on the incredible, true story of the unbreakable bond between a stray dog and a young Soldier, Sgt. 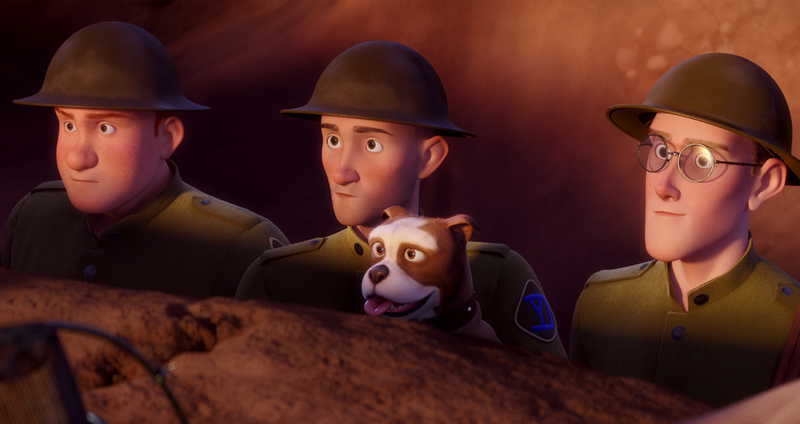 Stubby: An Unlikely Hero is a heartwarming “tail” for the entire family. With the “War to End All Wars” looming, the life of Army “doughboy” Robert Conroy (Logan Lerman, Fury, Perks of Being a Wallflower, Percy Jackson & The Olympians) is forever changed when a little stray dog with a stubby tail wanders into training camp in New Haven, Conn. Conroy gives his new friend a meal, a name, a family and a chance to embark on an adventure that would define a century. Narrated by Robert’s sister Margaret (Helena Bonham Carter, Ocean’s 8, the Harry Potter films, The King’s Speech, Sweeney Todd), Stubby and his new best friend quickly find themselves in the trenches of France. Befriended by French 'poilu' Soldier Gaston Baptiste (Gérard Depardieu, Life of Pi, Cyrano De Bergerac, The Man in the Iron Mask, Green Card), Stubby accompanies the duo along their epic journey through harsh conditions and incredible acts of courage. Featuring an original score by Patrick Doyle (Brave, Thor, Harry Potter and the Goblet of Fire). 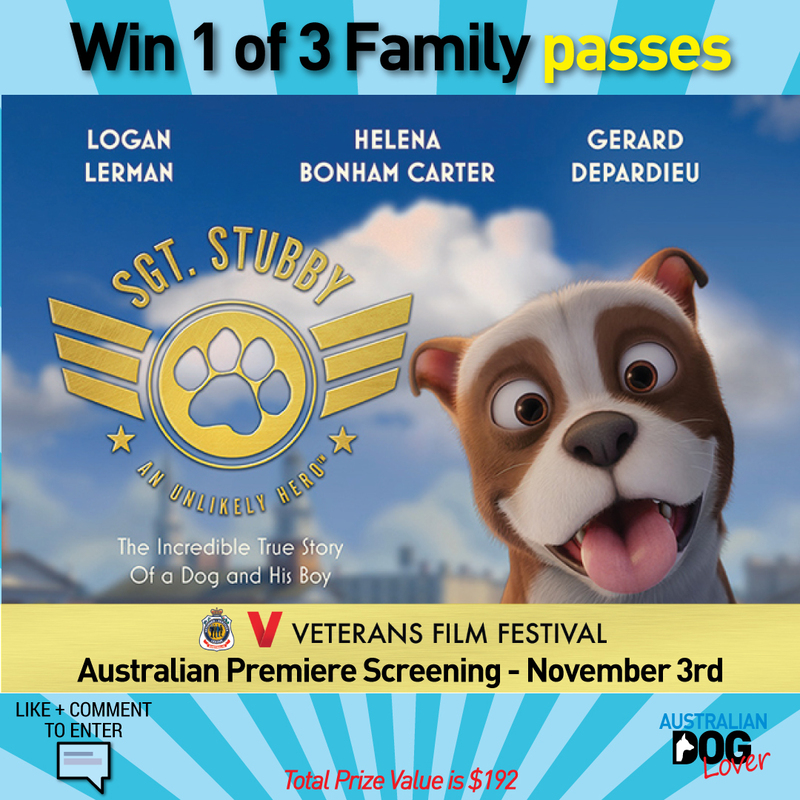 For your chance to Win 1 of 3 Family Passes (2 Adults + 2 Kids) to the Australian Premiere Screening of 'Sgt. 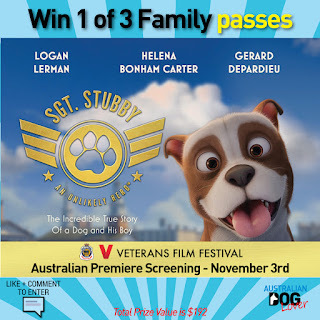 Stubby: An Unlikely Hero in Canberra on November 3 (4pm), please visit our Facebook Page or Instagram Page and Comment on our Post (21/10/2018). Nice trailer! Such kind of movies are fun to watch. It also teaches good morals to the kids. When I was a kid, I used to watch series by Andy Yeatman with my sister and brother. There were so many things that we learnt from it and my mom never stopped us from watching these shows.